On the 24-year anniversary of the passage of the Americans with Disabilities Act, Nepali activist Sushil Adhikari talks about the ongoing struggle to win human rights for people with disabilities. Twenty-four years ago today, the Americans with Disabilities Act was passed. This federal civil rights law, which prohibited discrimination on the basis of disability, was enacted after nearly a century of action by the U.S. disability rights movement. And today, while the struggle for full rights under this law is not over in the United States, this movement’s successes have inspired action across the ocean. 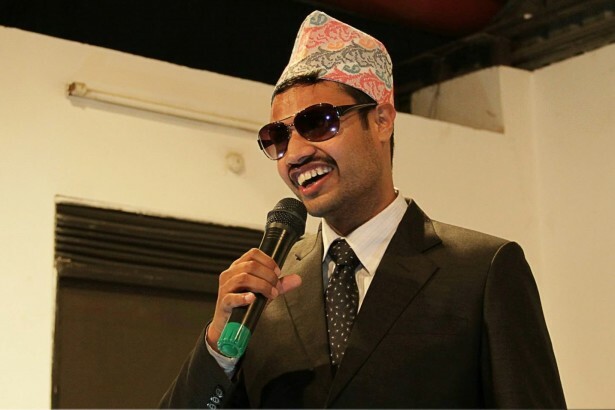 Sushil Adhikari, a 24-year-old student from Katmandu, Nepal, is a computer programmer and developer, a radio host and a community leader. He has an absolute passion for helping people with disabilities, both in the capital city and in rural areas of Nepal, where disability is believed to be caused by a sin committed in a previous life. Adhikari spearheads a disability rights movement in his community using nonviolent actions. The U.S. disability rights movement — a struggle for human rights led by activists for almost a century — is both inspirational and instructive for Adhikari. With enormous determination and self-advocacy campaigns, people fought to end discrimination and overcome barriers in employment, education and public space. An array of nonviolent tactics was used, including boycotts, marches and blockades with a goal of achieving both a change in legislation and, most importantly, a change in the way the American public viewed disability. The protesters often used dramatic actions aimed at making a statement about the need for better accommodations. Wheelchair users climbed from their chairs and dragged themselves up the stairs of a courthouse. Quadriplegic activists laid in front of public buses. Technology was also a decisive factor for some groups. Voice-recognition systems, voice synthesizers, screen readers and computers were essential for the visually impaired to aid their campaigns. After years of campaigning, the Americans with Disabilities Act was finally passed in 1990. Today, numerous advocacy groups in the United States continue the struggle to ensure full rights for persons with disabilities. Nonviolent discipline and unity were — and remain — engines that drive the movement. For example, when legislators proposed to weaken an amendment that affected one group, others opposed the compromise, standing firm in their commitment to full civil rights. This action-oriented and technologically savvy movement is an example for Adhikari, elements of which he is incorporating into his own work in his home country of Nepal. Adhikari uses his professional and technological skills to bring about change in the community. Adhikari describes his Technology for Change campaign as a way to “unleash the eyes” for the visually impaired. “When one learns how to use a computer then she or he starts exploring and creating opportunities in order to better understand the context of the world,” he said. Adhikari also hosts a weekly, one-hour radio show that he uses to teach people with disabilities about their rights and about how they can use available resources to wage their nonviolent struggle. Aired on 12 radio stations across Nepal, his program targets rural audiences who rely on radio as their primary means for obtaining information. Adhikari became blind at an early age. Nevertheless, his condition has not stopped him from becoming an avid reader, a community leader and a world traveler. He visits local youth clubs and runs a training program to teach personality and leadership skills, and well as how participants can help people with disabilities. All this work Adhikari funds through his savings from overtime work as a software developer. What you said is very true & one should take this matter at centre!! Also thanks for the persuasive explanation! Viv, thank you for this correction. This is my mistake as an editor — so I very much appreciate your writing to correct this error. You are right; it is an ableist phrase. The piece is updated to use “wheelchair user.” Thank you again. Thanks Elena for the awesome article! I am much encouraged to work for the noble cause in Nepal with more passion & determination! Nice article!! Thanks Elena for your incredible featuring of my brother Sushil!